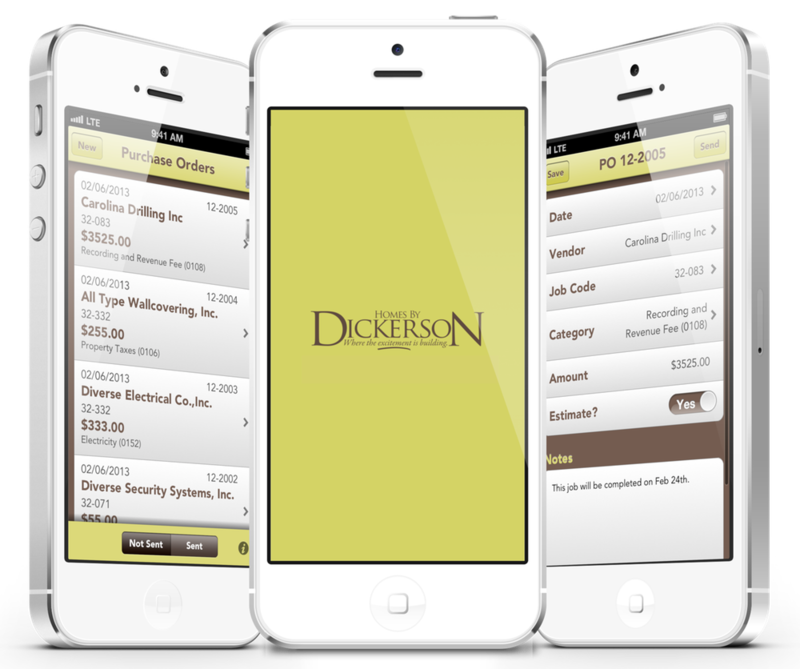 We worked with Homes By Dickerson to help their project managers save time by creating an iPhone app that lets them generate Purchase Orders right from their iPhones. Previously, their project managers would carry a clip-board with a blank spreadsheet with pre-filled PO numbers to their project sites. 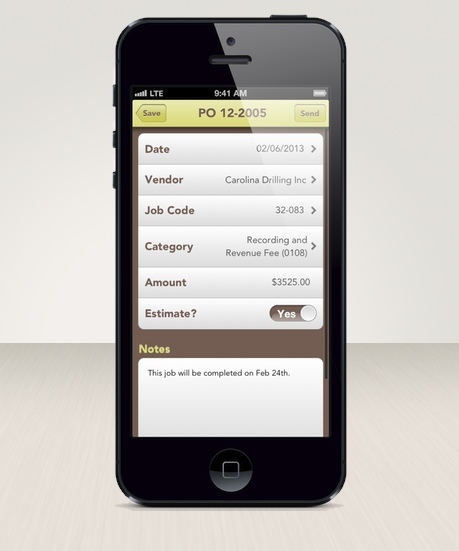 Whenever a Purchase Order (for a construction change) was needed, the project manager would have to fill out a line in the spreadsheet by hand. Upon their next visit to the office, they would submit the sheet and then a second person would transcribe what was handwritten on the spreadsheet and email the vendor. 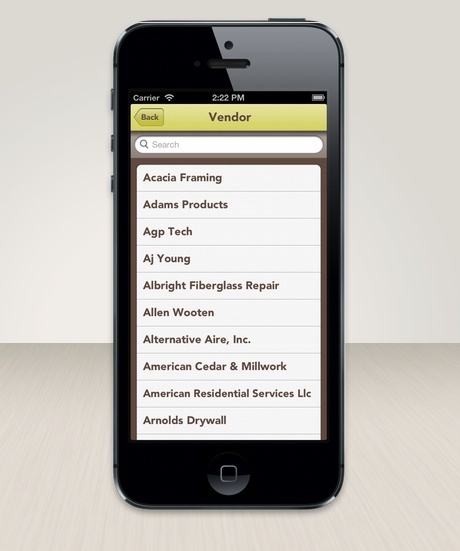 Now with the iPhone app, the project manager can create and send the Purchase Order directly to the vendor right from the job site. 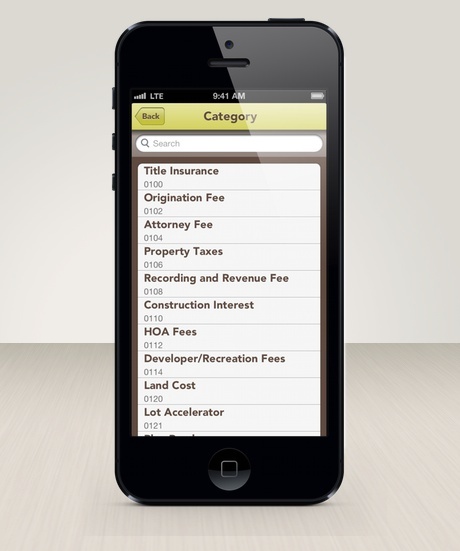 No more paperwork hassles and no more time delays. 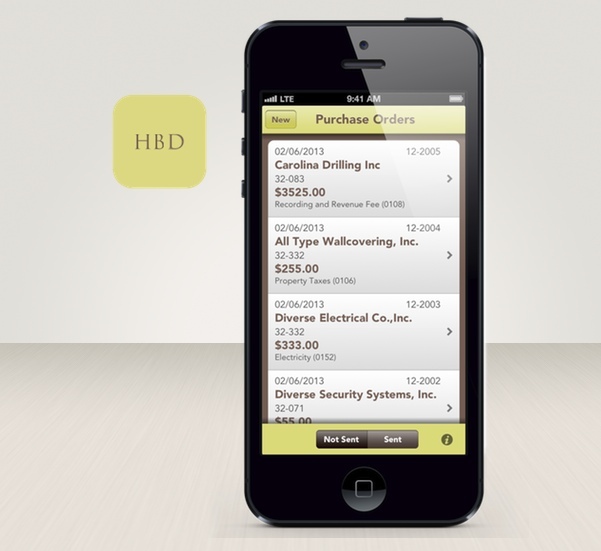 Since the backend is powered by Parse.com, HBD can update the app’s data (new job codes, project codes, vendors, etc) at any time and all instances of the app pull the updates down automatically.